Raleigh, North Carolina is quite an amazing city and really has it all! It’s a wonderful place to raise a family, great spot to vacation, and it’s an awesome city to work in with the cities every growing great job market. People from all over the country and even the world come to visit the great city of Raleigh. One of the best parts of living in Raleigh though, is having access to the greatest Junk Removal Company on the map. Who? Yep, you guessed it. The Stand Up Guys Junk Removal Crew! 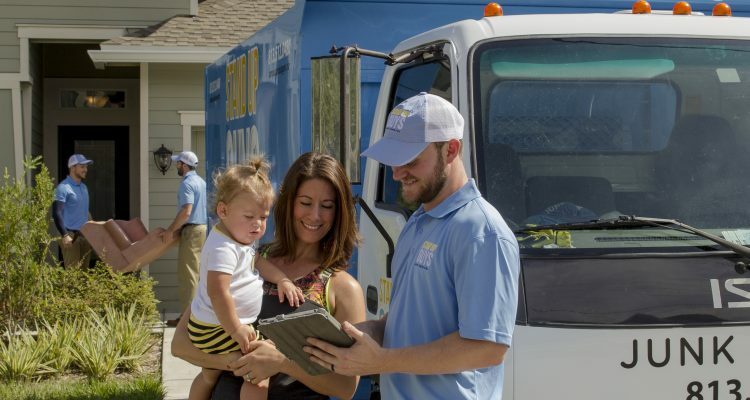 The Stand Up Guys are well-known as Raleigh’s number one junk removal crew! We’ve earned this stellar reputation over the years due to our constant effort towards customer service, customer care and creating great value for all our clients. When you hire The Stand Up Guys Crew to help you with your junk removal needs, you know that you will be taken care of, and that they will manage everything for you. Every step of the way. It doesn’t matter what you’re looking to have removed, or where you’re looking to have it removed from. Either way, The Stand Up Guys Junk Removal Crew will haul it out for you. We take everything from old junk furniture and appliances, to yard debris and everything in between. The Stand Up Guys also donate and/or recycle everything we can. We are able to recycle more than 60% of the items that we remove from Raleigh alone. Raleigh, otherwise known as ‘The City of Oaks’ is not only one of North Carolina’s largest, most beloved cities, it’s the states capital. Raleigh is no longer North Carolina’s hidden secret, the word has gotten out about how great of a place it is. The population alone over the last few years has ballooned to 451,000 people just inside the city limits. That growth makes Raleigh one of the fastest growing cities in the entire United States. Raleigh is a popular destination for many people around the country and is home to numerous cultural, educational, and historic sites. Duke Energy Center, Coastal Credit Union Music Park, are just a few of many amphitheaters and popular theater venues in Raleigh. The city is also home to many incredible museums like The North Carolina Museum of History, The North Carolina Museum of Natural Sciences and more.